ARP Assembly Lube (0.5 Oz) packet. 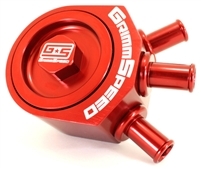 **FREE SHIPPING** GSC Power-Division billet cams for your WRX are available in multiple durations – S1 (266 duration); S2 (272 duration); S3 (280 duration). Kelford Cams for your 2004-2007 Subaru WRX/STI. These are for the cars with AVSC on the intake cam only. Kelford Cams for your 2008+ Subaru STI. These are for the cars with dual AVSC. An Air/Oil Separator has one job, remove the oil from the engine ventilation system so the oil does not get sent through the intake system. 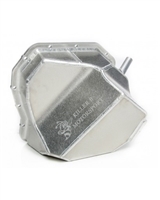 The Killer B Air/Oil Separator is designed to remove oil, in liquid or vapor form, from the vented crankcase gasses. 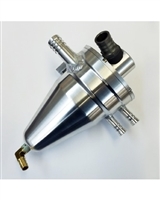 The Killer B Air/Oil Separator - GA is designed to remove oil, in liquid or vapor form, from the vented crankcase gasses. The COBB '710 Series' Oil Cap brings a bit of class to your engine bay. Available in Black, this billet oil cap will keep oil in your engine with a bit of style. This Oil Pan holds an extra 1.4 quarts of oil, a +30% increase in capacity over OEM. 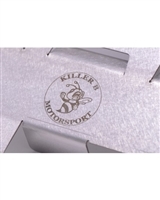 Killer B Oil Baffle Windage Tray for your Subaru WRX/STi. 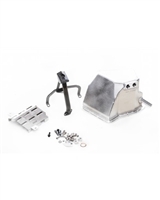 Get the V2 Performance Oil Pan, Ultimate Oil Pickup and receive the Performance Baffle for FREE!!! This ULTIMATE OIL PICKUP uses a .12” thick double bracket, 3X OEM oil pickup tube thickness and a brace between bracket and oil pickup tube to further strengthen the assembly. This ULTIMATE OIL PICKUP uses a .12” thick double bracket, 3X OEM oil pickup tube thickness and a brace between bracket and oil pickup tube to further strengthen the assembly. 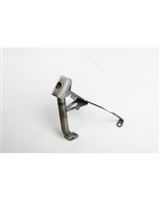 The Oil Control Valve prevents oil flow out of the valve cover ports based on the lateral forces placed on the car. This is NOT designed to be used on street cars. 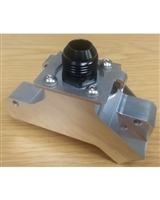 The Oil Control Valve prevents oil flow out of the valve cover ports based on the lateral forces placed on the car. This is NOT designed to be used on street cars.